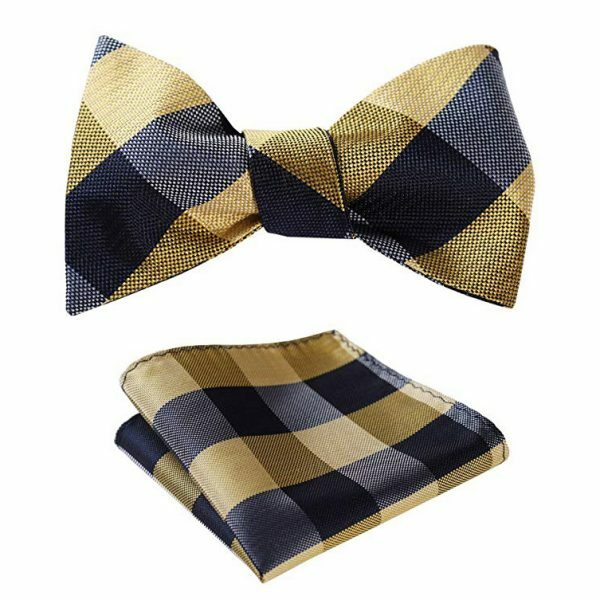 Elevating your formal wear to a whole new level without breaking the bank is a breeze with this gentleman’s fancy black and champagne bow tie. 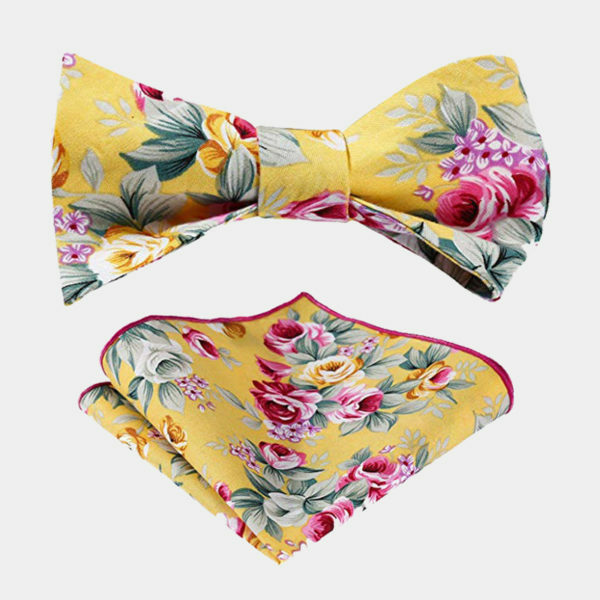 This gorgeous bow tie is classy, sophisticated, and it helps you stand out in a crowd. The masculine metal embellishment and the subtle refined color creates an elegant combination. 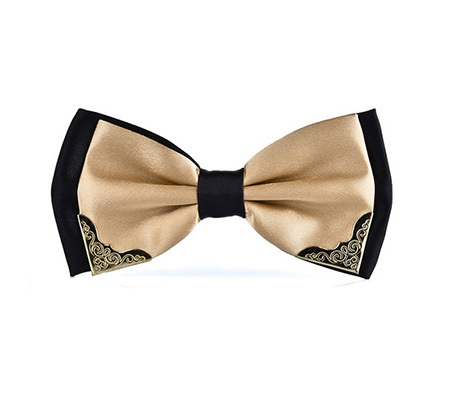 This unique fancy black and champagne bow tie is a chic addition to your prom, special occasion, or wedding attire. This dashing black and champagne bow tie, expertly crafted by hand from high-quality materials, is fade and stain resistant. 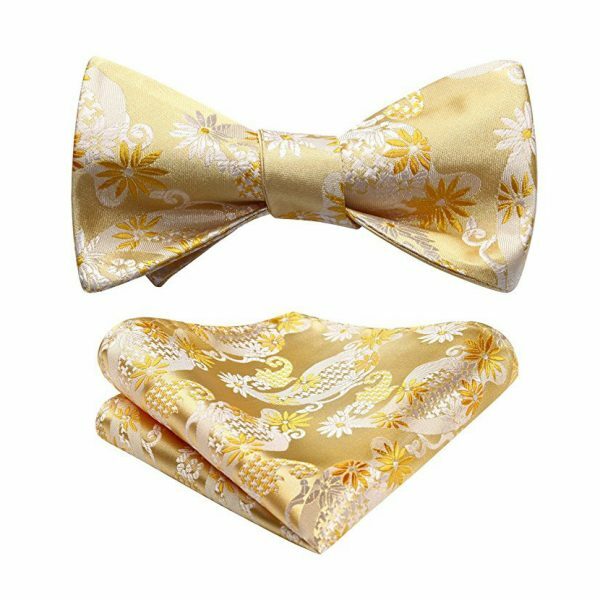 The double bow design is pre-tied and is equipped with a fully adjustable strap, making it easy to use and comfortable to wear. 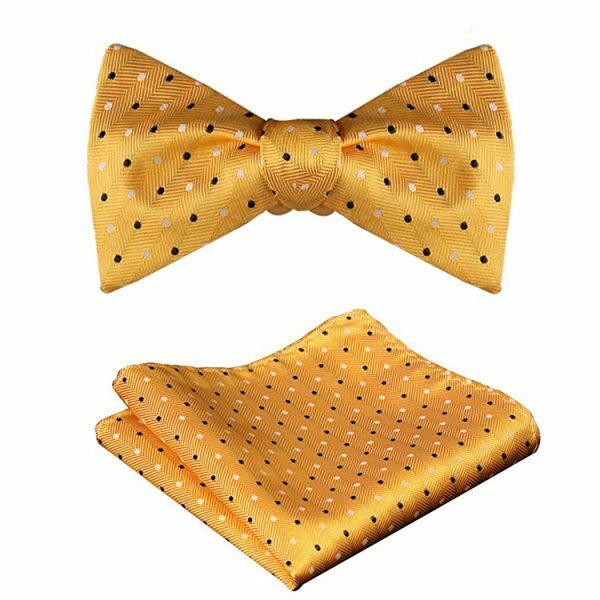 This superb gentleman’s fancy bow tie is silky soft and luxurious as well as long-lasting and durable. 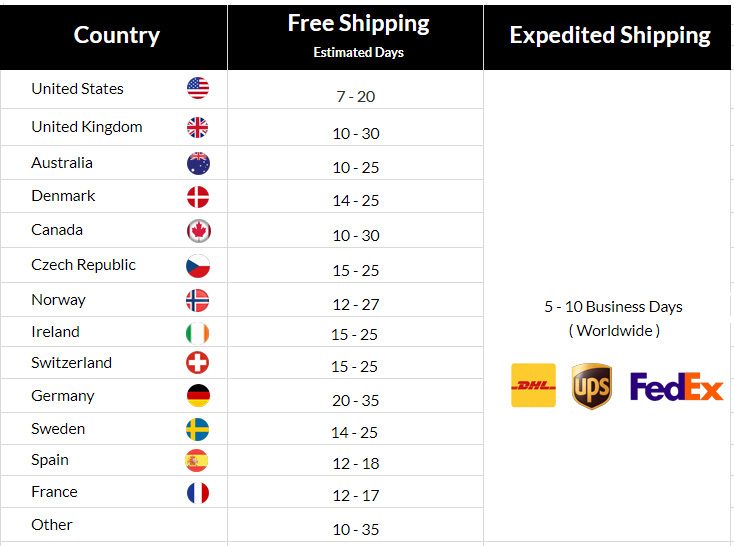 Take your look from a basic man to a gentleman easily with this little gem.